As the 2019 elections draw closer in Nigeria, top music artistes have come together to preach the message of peace and love ahead of an election that promises to be fiercely competitive and dangerous. 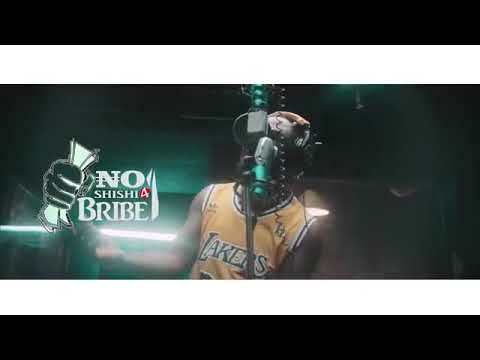 The artistes, 2Baba, Falz, Simi, Pasuma, Timi Dakolo, Waje, Illbliss, Mr. P, Slimcase and Classiq all came together to decry the unjust act of buying votes in this new song titled “No Shishi 4 Bribe”, a song that is as socially and politically conscious as they come. Produced by ID Cabasa, this song that had 2Baba on it could not have come at a better time. It is no secret that 2baba has always been a voice in the industry and against ills. In fact, during the last election, 2Baba started the Election No Be War campaign through which he preached against electoral violence during a period when many feared that there would be electoral violence ad bloodshed. Well, he teams up with other advocates on this one to condemn vote buying. The other artistes involved on this project: Falz and Simi was very active during the #EndSARS campaign and that’s not forgetting Falz‘s cover of Childish Gambino‘s “This Is America” that he titled “This Is Nigeria”, a song that went viral and even earned him some backlash from a Muslim group and the censorship board. To listen to this collaborative effort from the artistes, stream or download here and drop your comments in the comments section.